This fall, the RM team will be experimenting with adding discussion questions to serve as a launch point for further conversation. Our hope is that these questions will encourage you to dig deep and see how the gospel transforms motherhood. Think about all of the seasons you’ve experienced as a mother. Think about the seasons of your sisters and closest friends. Are there wildly different experiences, even in your own relationships? Most likely. While everyone is living a unique life, the one thing we can all relate to is the pursuit of glorifying God by serving our families well in the season we’re in right now (Eph. 2:10). Rather than compare ourselves to one another – which leads to mutual insecurity – let’s enjoy the freedom and grace Christ offers us. Our purpose is to glorify God and enjoy him forever, and that looks different for every mom. With our access to social media, parenting books, blogs, and more, moms need a strong, gospel-centered filter to separate the truth from the falsehoods. The world will always tell us what we should be doing or what our kids really need, but we want to honor God’s standards in our parenting. How do you grow a gospel-centered filter to discern truth in a world of personal opinions? Saying no to the world’s ideas of motherhood in order to say yes to God’s design for motherhood will be costly. Thankfully, we do not need to fear man’s judgment, because we know that God’s design is always better. How does God describe a mother’s role in scripture? What matters to him? We all have to prioritize our callings or we risk overwhelming ourselves and misplacing our time and talents. The gospel should guide our to-do lists, offering us perspective and freedom. On what roles does God place a high value and importance? When you look at your list, what are your “best things” in light of scripture? The gospel applies to everyone – across history, culture, and geographic locations. Women have always served their families in different capacities. It’s encouraging to remember that God has already prepared good works for us to do in each of our roles: woman, wife, mother, worker. Everything we do is in service to him, so it all matters. How do your different roles in this season of life glorify God? The two most common phrases for moms today are “we can’t have it all” and “we can have it all.” These anthems cause intense and unnecessary comparison amongst moms. 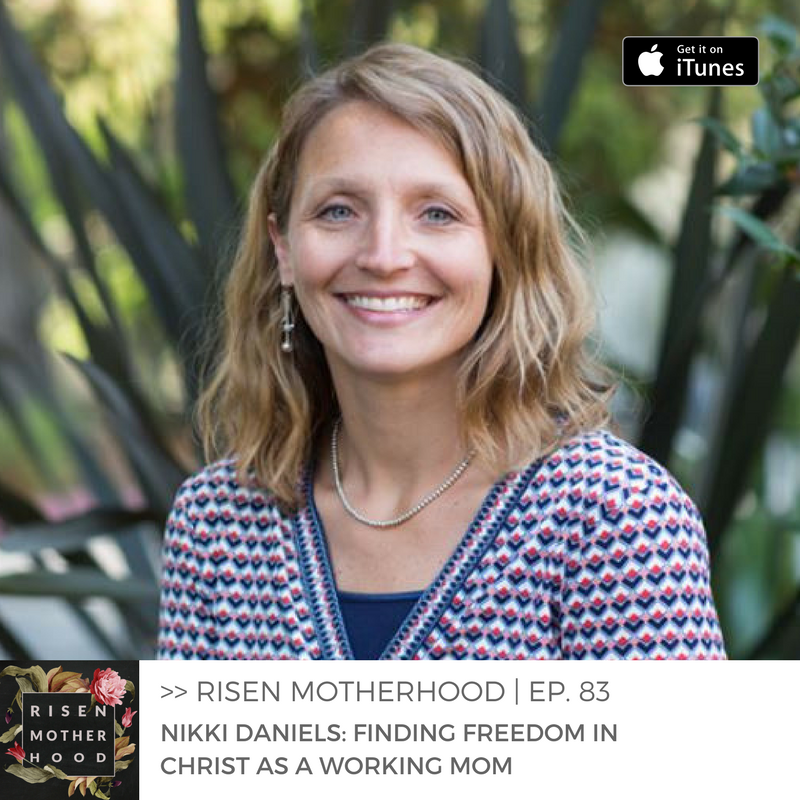 A gospel-centered perspective of motherhood will continue to bring you back to Jesus, our truest portion and prize. When moms have Christ, they have it all, even if they have nothing else. What does it mean for Jesus to be all?